Today, you are a member of... The Maintain - You Are A Member! 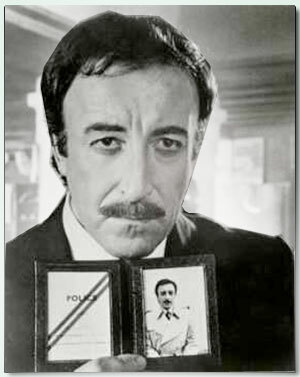 Peter Sellers, members. Just look at him. A master at maintaining. In the face of all things dangerous, ridiculous, and over pretensed, Sellers wasn’t about to crack up. And what better time to make him your patron saint than this week, members, when back in 1951, Crazy People (Sellers break out moment as impressionist, later renamed The Goon Show) was mid point thru its first season on the BBC. Yes, members, if you find yourself up to your eyeballs in crazies, goons, and swine birds during the next half fortnight, lock down your bluebottle gaze, front your cred, and insist Eccles explain his bit of paper.